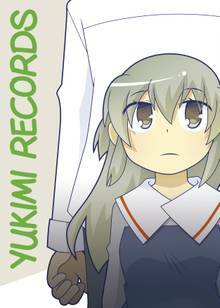 [Free Books] Yukimi Records｜MANGA.CLUB｜Read Free Official Manga Online! Yukimi Kobayashi spends most of her time alone, but that isn’t the strangest thing about her. Yukimi is actually an experimental android that has been placed in school to allow her to develop like a normal child. However, Yukimi didn’t always spend her time avoiding people; she used to have many friends. What are the secrets behind Yukimi and why has her personality changed so much? Perhaps the only person who can help her is her teacher. This little one shot manga reflects on enduring friendship and the power of sentiment. It's a really fun read. Now this is definitely a story that could be expanded upon. I could see an entire 12-episode anime series based on this with some additional drama and cancellation of the project with a runaway love ending. I'd watch it. This one-shot was very cute and fluffy. I recommend it. It felt more like an extra chapter to a manga than a one-shot, though. Really cute and love the drawing! I wish there were more chapter!